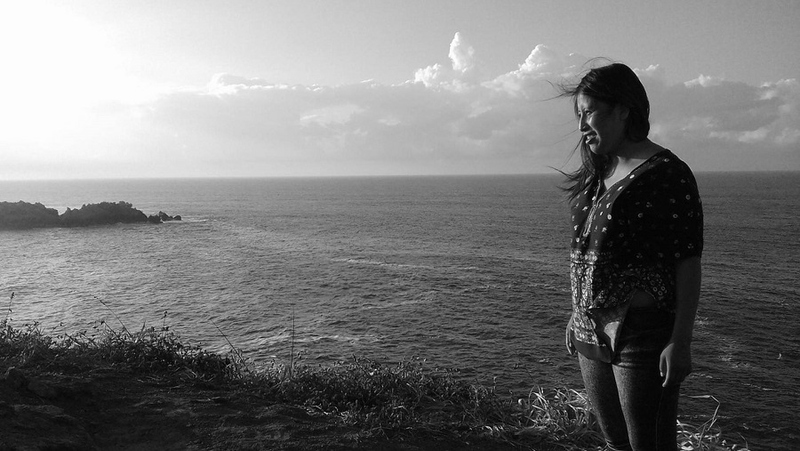 THE FACTS – The body of Guadalupe Campanur was found on January 16th in the municipality of Chilchota, Michoacán. The defender of the forests had been killed sometime between 36 and 48 hours beforehand. “Lupita,” a 32-year-old Purépecha indigenous woman was recognized in 2011 for being one of the first women to join the Community Defense Forces of Cherán, who maintain custody of the surrounding forests. This Mexican municipality is known for its exemplary process of self-defense and community organization to combat the illegal exploitation of wood and organized crime. 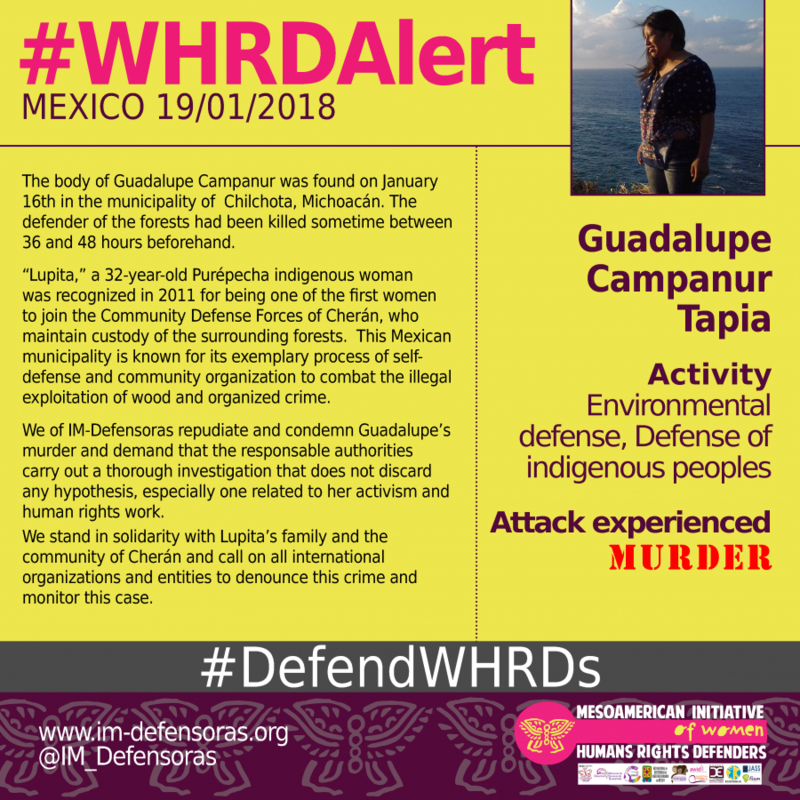 We of IM-Defensoras repudiate and condemn Guadalupe’s murder and demand that the responsable authorities carry out a thorough investigation that does not discard any hypothesis, especially one related to her activism and human rights work. We stand in solidarity with Lupita’s family and the community of Cherán and call on all international organizations and entities to denounce this crime and monitor this case.